and it is not of this world. There was a big old cranky pants at my house last night and it was me. I had been up since 5:30 in the morning and didn't get home until almost 5:30 in the afternoon. Then it was a four hour auction and lugging lots of purchases to my car and mom calling in the middle with a crisis and .........well you know how it is. I'm sure you have plenty of those days, too. So, yes, stillness is good and a cup of eggnog in front of the fire counts as stillness in my book. I'll be back tomorrow with more Christmas photos. My whole week has been like that-- would you believe I dropped a ton of money on new glasses that are no better than my regular vision? The "people" at the vision place said the glasses are correct. Oh, okay, I'll adjust my eyes. Anyway, my point is "customer service" is a thing of the past! Hope your probs iron out! Here's to the weekend! I think I would have thrown a hissy fit in that clerk's office! Nasty day! 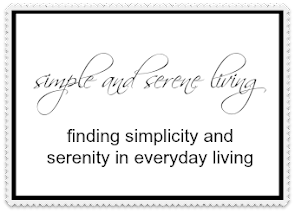 Hopefully today will be better - enjoy the beautiful stillness! You know my thoughts about government red tape! Now close your eyes...imagine me putting on those fabulous vintage ice skates that I purchased from you...I'm skating with Cary Grant...Will you bring some of that eggnog and join us? Wishing you a so much better day today! Where in the world did customer service go? or simple respect for that matter. I hope your quiet time wiped away all the creepys from the day. Oh red tape! Not what you want to see at Christmas. But the egg nog--now you're talking! Hope it's funner today! I hope you are having a better day today, Laura! Eggnog in front of the fire sounds very relaxing. Jeeze, you'd think they'd be so happy to get your money that they would take it anyplace they could get it. Seriously, why couldn't they set that up so a person could pay that on-line?? It's never easy, is it? Sounds like a no good rotten horrible very bad day. Glad you found at least a tiny peaceful spot in the day. Hoping today is better. Hugs. Boy, a cup of eggnog would surely hit the spot about now!